Explanation: What surrounds a hotbed of star formation? 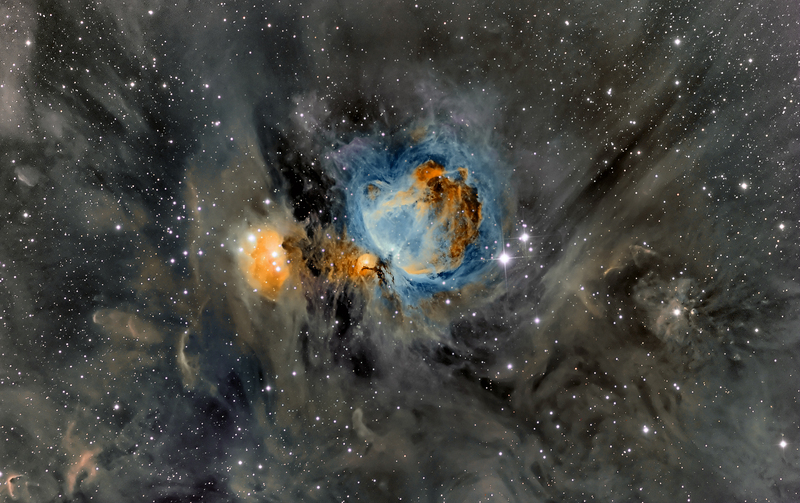 In the case of the Orion Nebula -- dust. 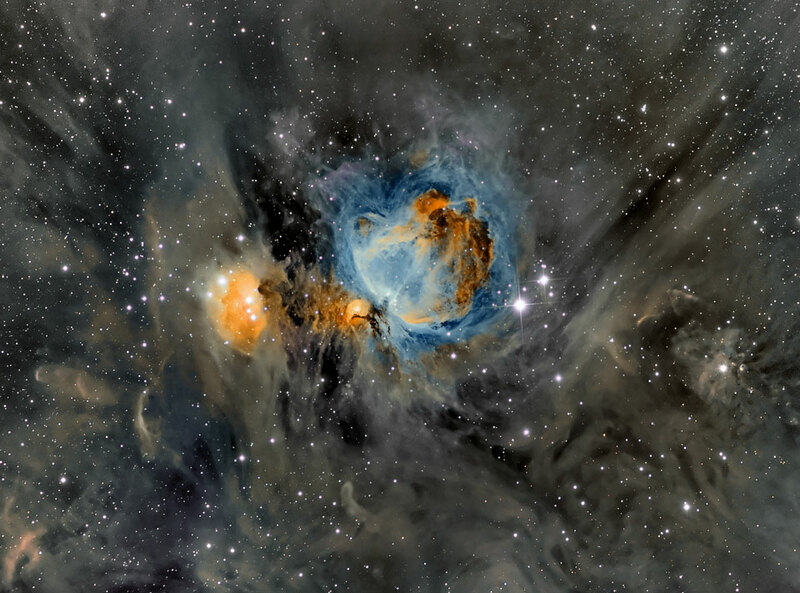 The entire Orion field, located about 1600 light years away, is inundated with intricate and picturesque filaments of dust. Opaque to visible light, dust is created in the outer atmosphere of massive cool stars and expelled by a strong outer wind of particles. The Trapezium and other forming star clusters are embedded in the nebula. The intricate filaments of dust surrounding M42 and M43 appear gray in the above image, while central glowing gas is highlighted in brown and blue. Over the next few million years much of Orion's dust will be slowly destroyed by the very stars now being formed, or dispersed into the Galaxy.